As the Zika outbreak takes hold in Latin America, researchers thousands of miles away in Hawaii are using data to figure out where it might spread next. In the last three months, researchers from the University of Hawaii at the Pacific Disaster Center have focused on combating the mosquito-spread virus. 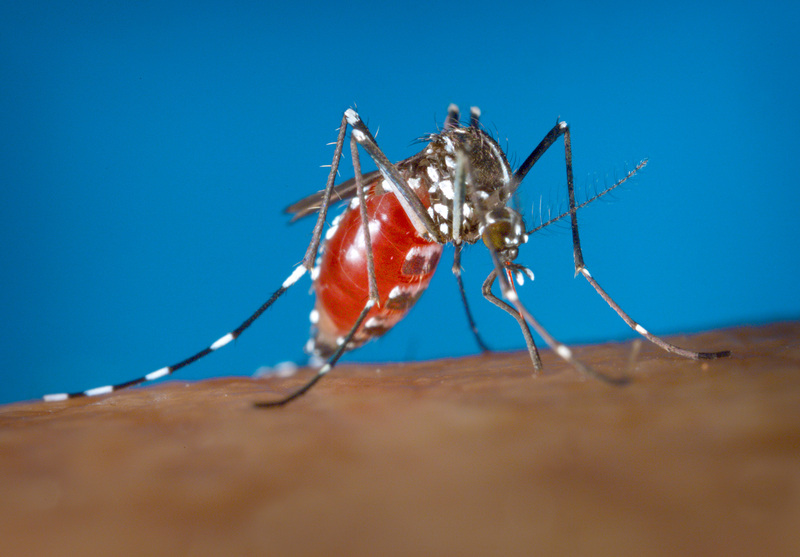 Gwen Tobert, a foreign affairs officer with the State Department, said they're using the center's products to follow how the Zika outbreak is developing and to better understanding how it affects communities in Latin American countries. She said their maps help officials decide where and how to respond to the outbreak. The World Health Organization recently declared Zika virus a "public health emergency of international concern," which is linked to birth defects, including microcephaly, and other pregnancy complications, and has infected thousands of people in Latin America. Pacific Disaster Center Executive Director Ray Shirkhodai said his organization is using data that's publicly available - for instance, the number of Zika cases - as well as data on rainfall, the location of roads and airports to show where Zika could spread. They've also worked directly with governments in Latin American countries to gather information such as locations of hospitals and health care policies to figure out which countries could respond better to an outbreak. For example, a map that charts data involving ambulance response as well as the number of available hospital beds and physicians shows Brazil could recover faster from a potential health crisis like Zika than Paraguay or Bolivia. In recent years, the Pacific Disaster Center has worked with agencies ranging from the Department of Homeland Security to the Department of Defense to create apps to map disasters. Their work has been used to direct international rescue efforts during disasters ranging from a 2015 earthquake in Nepal to Tropical Cyclone Winston in Fiji last month. Incidentally, this week, the Centers for Disease Control and Prevention added Fiji to the list of countries that should be avoided by pregnant women due to the presence of Zika virus. The Federal Emergency Management Agency works closely with the Pacific Disaster Center to map storms and other hazards in the Pacific, said Susan Hendrick, an agency spokeswoman. FEMA also worked with the center to understand how disasters impact local residents and infrastructures. During Typhoon Haiyan in the Philippines in 2014, Brian Steckler, who recently retired as director of the Naval Postgraduate School's Hastily Formed Networks program, said the school teamed up with the Pacific Disaster Center to help set up Internet service for emergency responders. The groups also helped to map out areas where the storm had damaged Internet infrastructure and phone lines. That information was then charted on the Pacific Disaster Center's mobile app, Disaster Aware, so emergency responders could know where potentially dangerous areas were.